There is a guest post on B&F where the author speculates about several brands that should have a part in the Avengers: Infinity War, the biggest movie of 2018. 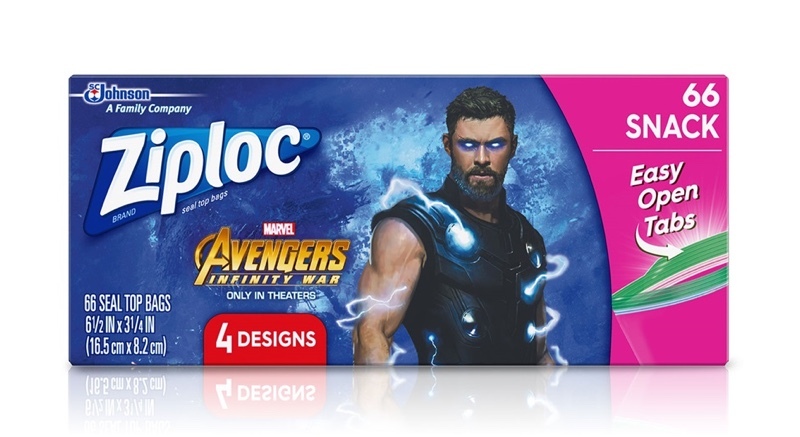 Here we’ll check brands that actually got involved with Avengers. Movies have always been the inspiration or used as the basis for other products and services. One of the the most common example is in the online casino world where we have seen games like the Naked Gun, Jurassic Park and many others proving to be a huge success. Now, with all the hype around the next Avengers movie being so massive it was no surprise that many brands wanted to get their name out there in association with the film, due to the great exposure this would create for them. Let’s check the most obvious movie tie-ins and collaborations. Quicken Loans decided to promote their Rocket Mortgage product by using a cobranded campaign. A commercial shows a young woman applying for a mortgage on her phone and receiving instant approval, whilst superhero mayhem was going on all around her. 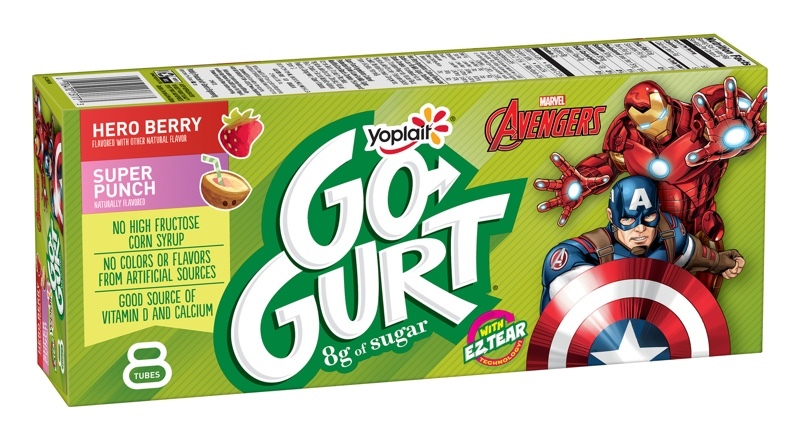 Go-Gurt is a child friendly on-the-go yoghurt that offers movie branded packaging that gave customers a free ticket to see Infinity War in two specially marked boxes. There was also a short commercial that showed a group of children dressed as superheroes and trying to use the box as currency as a way of advertising the promotion. The carmaker Infiniti have already partnered with Marvel in the past to create cross promotions and Infinity War proved to be no different. They launched a marketing campaign to promote their upcoming car the QX50, which can actually be spotted within the movie. A couple can be spotted in an advert also using their Infiniti car to rush to the theatre to see the movie, in the same way expectant parents would rush to hospital. Dole have created a variety of recipes that are based upon the characters in Infinity War as part of a “Powering the Hero Within” campaign, with the purpose of promoting healthy eating. Tags on the products, as well as stickers featuring the characters helped to support the campaign. Ziploc introduced bags that were branded with the heroes and villains from the movie, with a 30 second segment showing how versatile the bags are. They were shown to be a great addition to playtime and also a great place to store any items found that represent Infinity Stones. There was also additional behind the scenes material showed in some theatre packages and through Moviebill’s AR-enhanced print publication that was given out to ticket holders. The charity Stand Up To Cancer worked in conjunction with American Airlines on a movie branded campaign, which saw every single donation to the charity rewarded with $25 of 10 American Airlines AAdvantage miles. A public service announcement featured some of the stars from the movie talking about seeking help from heroes when you need it. The message conveyed didn’t just focus on countering threat posed by Thanos but also giving assistance to doctors and caregivers in providing the necessary treatment for people. This is not the first partnership for American Airlines with movies, and we sure it will not be the last. Geico the insurance providers were able to create a co-branded commercial with their spokesgecko reciting a line from the first Avengers movie which was designed to encapsulate the idea behind the assembling of the team to a bunch of desktop action figures. This commercial was part of the “Journey Across America” campaign by Geico and was their second partnership with Marvel to date. As part of a larger campaign by the bank a co-branded commercial was released. The aim of the campaign was to encourage younger people to save money and it had a landing page featuring a casual online game, which you could play as either Captain America or Black Widow. Avengers: Infinity War is such a gigantic movie that having so many business collaborations was expected and it shows that Marvel’s universe still has power and appeal to produce successful results both on and off the screen.